Nepal's main opposition, Communist Party of Nepal-UML, contesting under 'Sun' as its election symbol, is leading in the vote count of three hundred twenty six local levels out of three hundred thirty four local level, in the second phase local polls commenced this Wednesday. Meanwhile, 'Tree' the election symbol of ruling Nepali Congress is following the 'Sun'. Opposition CPN-UML has claimed victory over the eight local levels, whereas Nepali Congress has booked its victory over four local levels and Maoist Center in one local level out of thirteen local bodies where the vote count was completed Friday afternoon. Due to various technical and political reasons the vote count of eight local bodies is yet to start, the Election Commission (EC) has informed. The poll panel has also claimed that it is adopting quick measures that would bring the final results within a week. The commission has increased the number of vote counting officials and has asked the political parties, candidates and their representatives to be co-operative at the time of vote count. "The Election Commission reminds all the political parties, candidates, their representatives and all the concerned bodies to co-operate to complete the vote counting as early as possible," said a statement from the commission on Friday. The second phase election commenced on Wednesday covering three provinces mostly the southern plains of Nepal, which has remained much more volatile after the promulgation of the Constitution on 2015. Though the agitating parties boycotted the election a vigorous participation by observers was witnessed with turnout of 70.5 percent. Nepal voted on the first phase of local polls after a gap of about two decades on May 14 in Province No 3, 4 and 6 having two hundred eighty one local bodies witnessing a turnout of 73 percent. 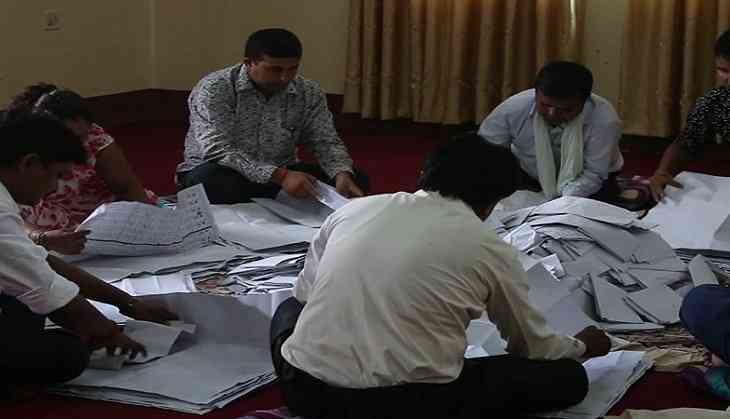 The second phase poll commenced this week in province number 1, 5 and 7 with 3 hundred 34 local bodies witnessed the voter turnout of 70.5 Percent. The CPN- UML took lead over vote counting of province number 1 and 5 whereas the biggest party of Nepal Nepali Congress is leading the vote count in province number 7. Along with the concerns over the results of second phase polls, the concern about the third and last phase of election in province no. 2 the homeland of agitating party leadership has started to rise. The long time agitating and disgruntled parties have been demanding Constitution amendment showing their reservation to accept it after it was promulgated in September of 2015. As the election for province number two is differed twice, there are concerns over bringing the agitating forces to the portfolio of election that is scheduled for 18th of September, 2017.